The Indian authorities postponed the inspection by Pakistani experts and said that it would not be possible due to the local-body elections in Jammu and Kashmir, Dawn news quoted a source as saying. The experts were scheduled to inspect two hydropower projects on the Chenab river. After the bilateral talks on the Indus Waters Treaty last month in Lahore, India rejected Pakistan's objections on the construction of the 1,000MW Pakal Dul dam and 48MW Lower Kalnai hydropower projects on the Chenab river and invited Pakistani experts to visit the sites to address their concern. The experts were scheduled to inspect the two hydropower projects by October but India cancelled it, citing some local issues, the report quoted the source as saying. "It seems to be a fallout of the recent tension emerging with the cancellation of the talks by India as other issues are normally affected in a larger context in such situations," the senior official, on condition of anonymity, said. India called off the meeting between Foreign Minister Sushma Swaraj and her Pakistani counterpart Shah Mahmood Qureshi on the sidelines of the UN General Assembly in New York, citing the "brutal" killing of three policemen in Jammu and Kashmir and the release of the postal stamps "glorifying" Kashmiri terrorist Burhan Wani. The source said the Indian delegation had agreed to get the two projects inspected by Pakistani experts this month. "Through a letter, India confirmed October 7 to 11 for the inspection of the projects by a three-member Pakistani team headed by the Indus Water Commissioner," he said. India said that since the administration of the respective districts in Kashmir would be busy holding the local-body elections till October 5, the inspection would only be possible from October 7 to 11, the source said. "But now the Indian authorities have postponed the scheduled inspection, stating it wouldn't be possible due to holding of Panchayat elections in the state by the respective district administrations. They didn't give us new dates as they just stated to coordinate with Pakistani authorities soon," he said. Meanwhile, Pakistan's Commissioner for Indus Waters Mehr Ali Shah expressed disappointment over the postponement and said that when something is mutually agreed at the state level, it should not be delayed or deferred on petty issues. "Postponement of our visit for inspection of India's two hydropower projects at Chenab basin is an element of surprise for us despite the fact that the delegation, which visited Lahore and held meeting with us last month, had agreed to allow us inspection of the same in the last week of the ongoing month. Later, they confirmed October 7 to 11. But they further postponed this schedule," Shah said. "We request our counterparts to fulfil their commitment they had made during their visit to Lahore last month," he said. 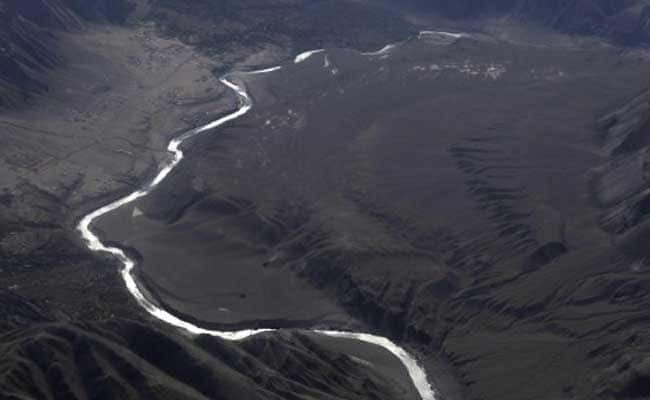 The talks on the Indus Waters Treaty (IWT) in Lahore last month was the first official engagement between India and Pakistan since Imran Khan became Prime Minister on August 18. India and Pakistan signed the IWT in 1960 after nine years of negotiations, with the World Bank being a signatory. The water commissioners of Pakistan and India are required to meet twice a year and arrange technical visits to projects' sites and critical river head works. The treaty sets out a mechanism for cooperation and information exchange between the two countries regarding their use of the rivers. Sindhi Activists Call Construction Of Dam On Indus River "Illegal"